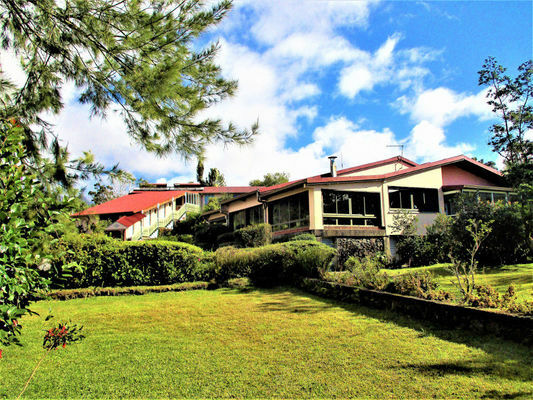 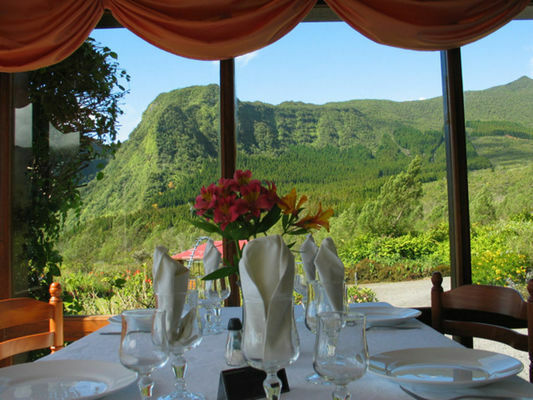 Located 1000 metres above sea level, twenty minutes from the east coast, la Ferme du Pommeau is ideally situated on the way to the Volcano. 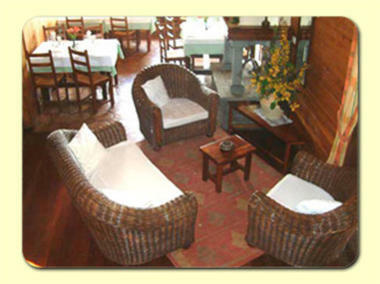 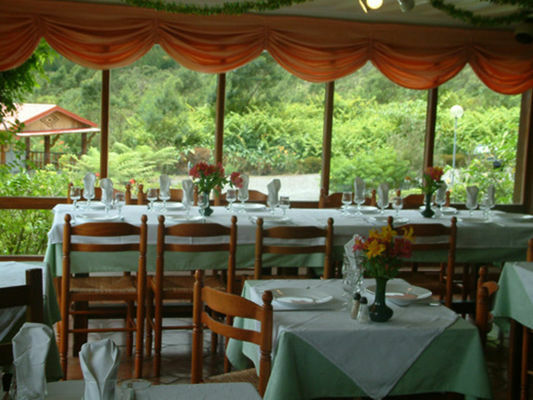 The restaurant serves traditional and reinterpreted Creole cuisine with fresh and local products. 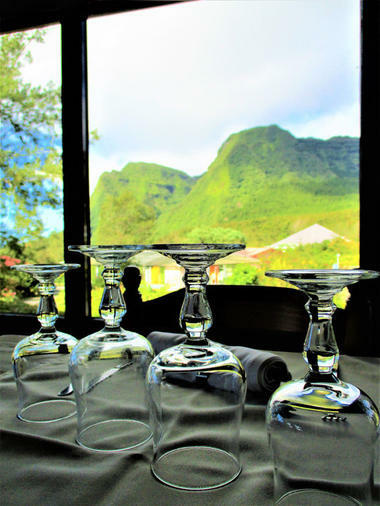 With a central open fireplace, the 50 settings restaurant's dining room offers a panoramic views of the surrounding mountains.The restaurant is equipped to host banquets. Environment / Access : From Saint-Denis, via Saint-Benoit, before Plaine des Palmistes Town hall and when you reach the boule pitch, turn on left on the crossroad. Follow the road with speed humps to the hotel sign on your left. 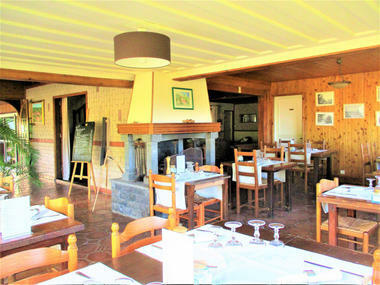 The car park will be below the hotel. Depuis Saint-Pierre via le Tampon, après la Mairie de la Plaine, tourner à droite à l'intersection sur Rue de Peindray d'Ambelle puis continuer jusqu'au prochain panneau sur votre gauche. The car park will be below the hotel.